My handbag is a wondrous thing. Anything you could possibly need, is in it. 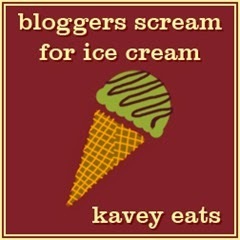 I'm entering this into Kavey's Bloggers Scream for Ice Cream hot drinks inspired challenge. You can read all about BSFIC here. 1, In a saucepan combine all the ingredients, save for the turkish delight and put over a medium heat. Bring to a gentle simmer and then remove from the heat. 2, Leave to cool completely and then strain through a fine mesh sieve to get rid of all of the coffee grounds. 3, Transfer into a shallow, freezer proof bowl bowl or tray and pop in the freezer. 4,You'll need to break up the ice crystals and then also periodically after that with a fork. It's really up to you as to the consistency of the granita. Some like it almost slushy and some like hard shards of ice. I hover in the middle. 5, Check the granita every half an hour after that'll break up the ice. Mine took just over two hours as my freezer is quite new and has a super fast freeze option. When you've got to to the desired consistency. 6, Cut up the turkish delight into small chunks and stir through. It's really up to you how much you use. Serve immediately. oh wowwwww. it's a miserable winter's day here in hobart, but that has just transported me straight to summer!